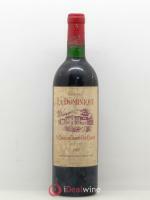 Antoine Jaboulet set up his winemaking business Tain-l'Hermitage in 1834. He was succeeded by his sons, Paul and Henri who in turn passed the baton to Paul’s son Louis. Next came Louis’s son Gérard and then, in 1997, Gérard’s cousin, Michel Jaboulet. He ran the domain until 2006 when it was bought by the Frey Group which also owns vineyards in Champagne and Bordeaux (Château la Lagune). 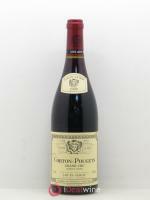 Today, oenologist Caroline Frey runs the property which has worked steadily to achieve an excellent standard. In 2013, Maison Jaboulet officially converted its vineyards to organic and in 2015 it received “High Environmental Value” certification. Beyond these accreditations though, the domain’s goal of bringing out the best in each majestic Rhône terroir remains unchanged. 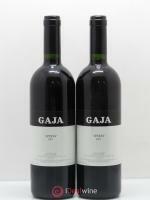 It achieves this goal by preserving the quality of the fruit, through meticulous vinification, and an attentive élevage. 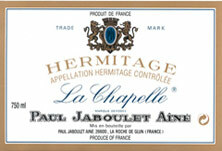 Jaboulet's Hermitage La Chapelle is undoubtedly one of the greatest red wines in the world. Named after a tiny chapel (built by the knight Gaspard de Stérimberg in 1235) sitting at the highest point of the appellation's steepest hillside, this incredibly concentrated wine requires a minimum of ten years' keeping before it can unveil the full breadth of its aromas. The grapes are all destemmed, and harvested as late as possible. After a long vatting (25 days on average), the wine is matured in barrels (25% new wood) for a period of 12 to 16 months. In its youth, Hermitage la Chapelle is distinguished by its dark colour, developing incredibly intense aromas. Slightly woody, with hints of spice and very ripe wild fruits in its youth, La Chapelle develops licorice, candied fruit, mushroom, leather and undergrowth aromas after many years of ageing. 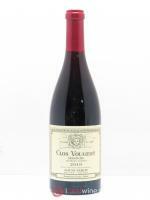 The imposing structure of this exceptional wine offers a perfect combination of power, character and refinement. With its phenomenal longevity, Jaboulet's Hermitage la Chapelle easily matches the best red wines of Bordeaux or Burgundy.